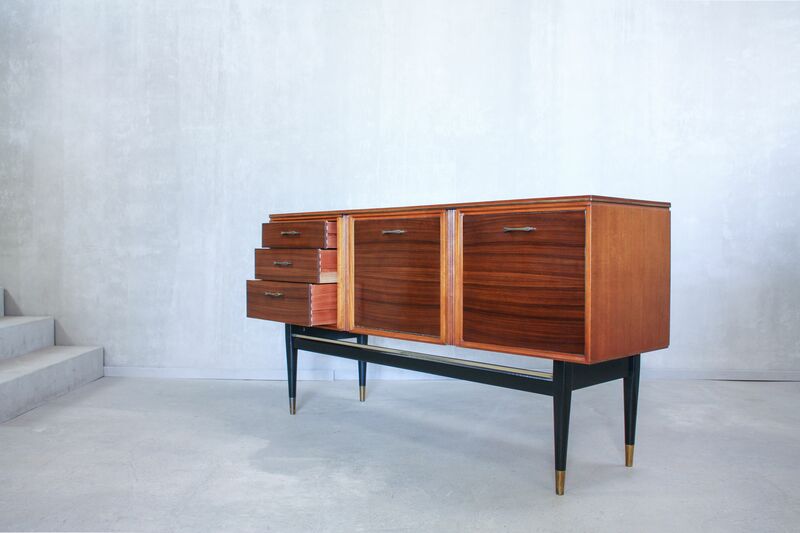 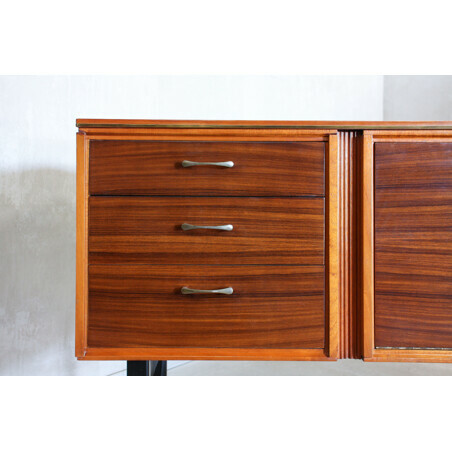 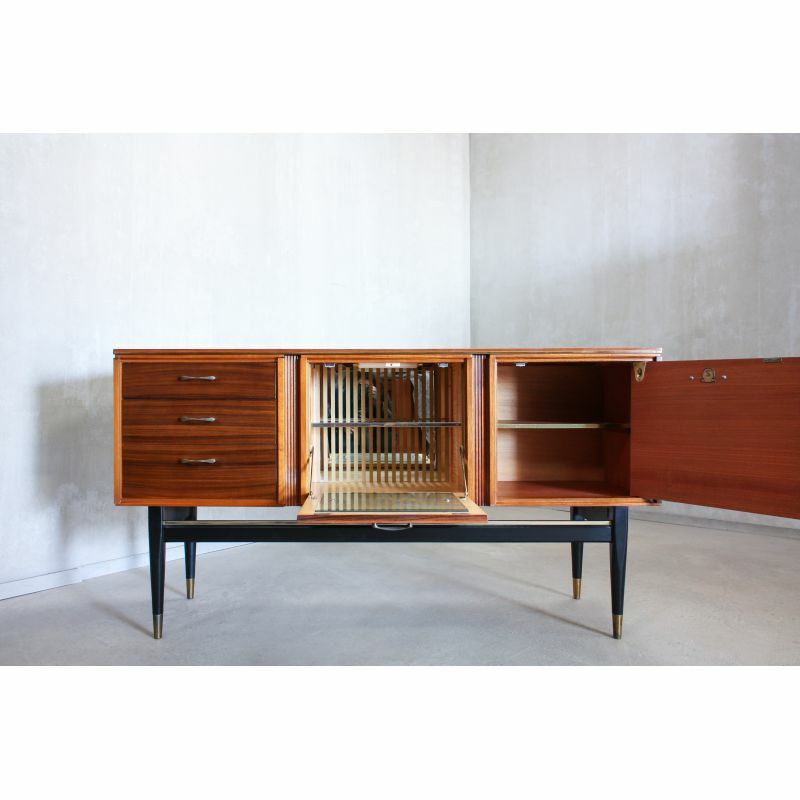 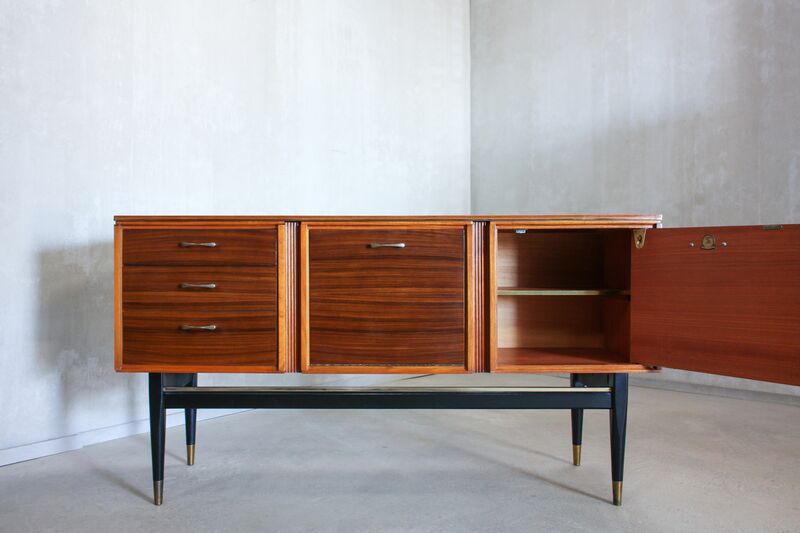 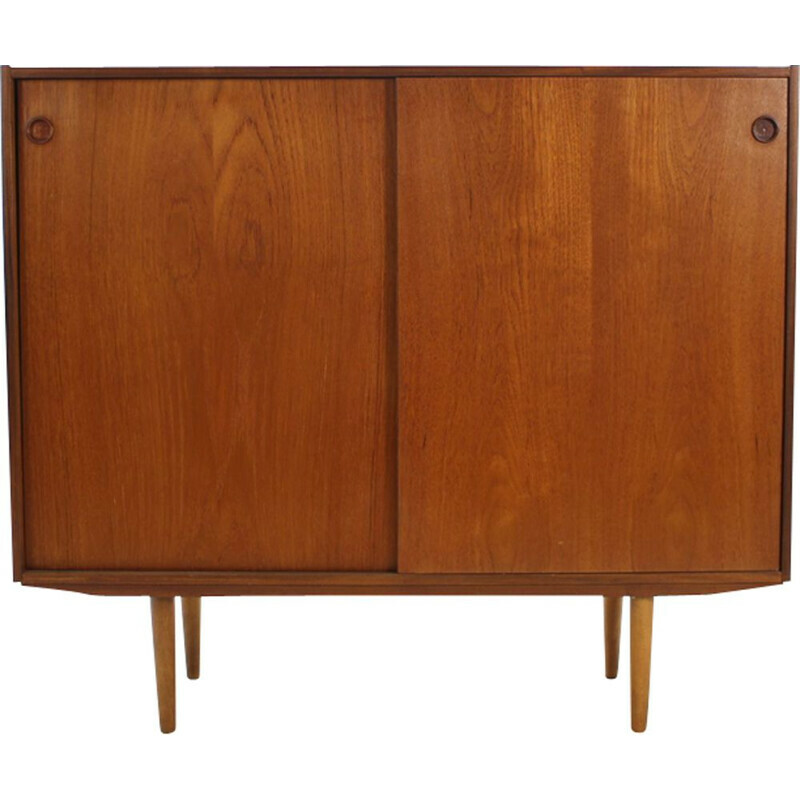 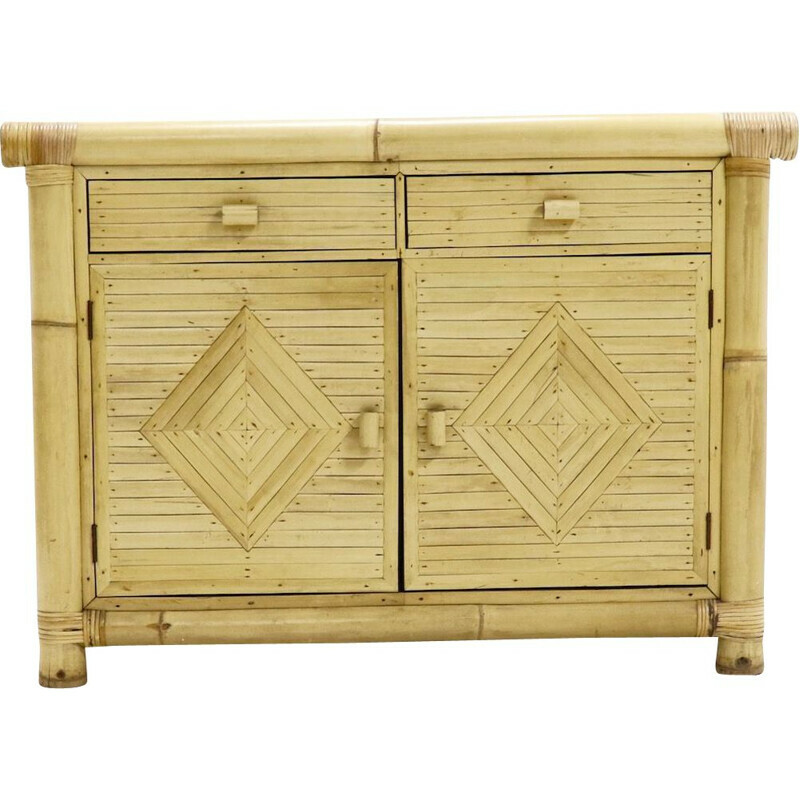 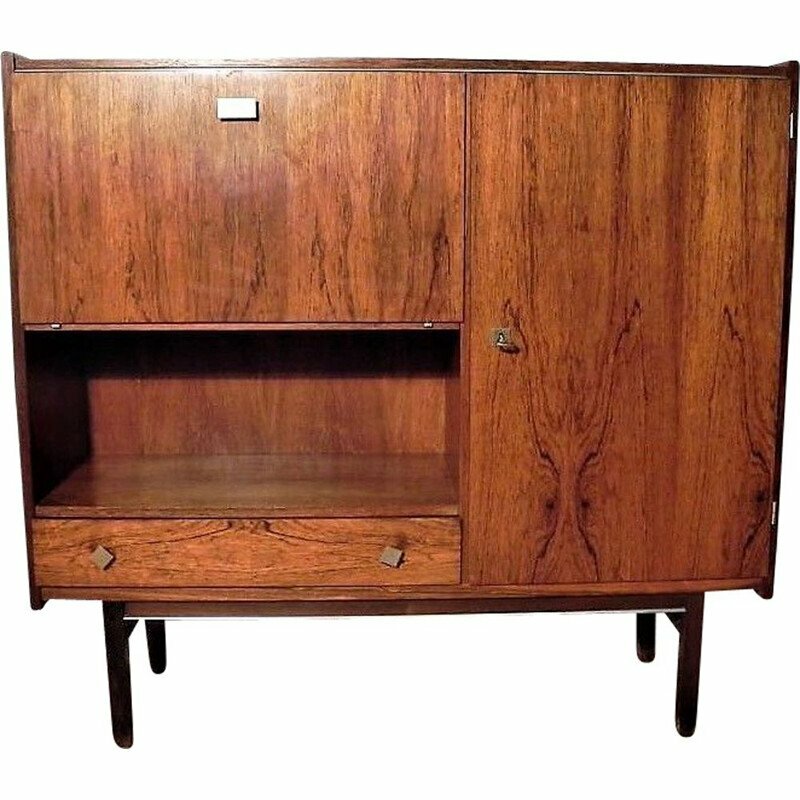 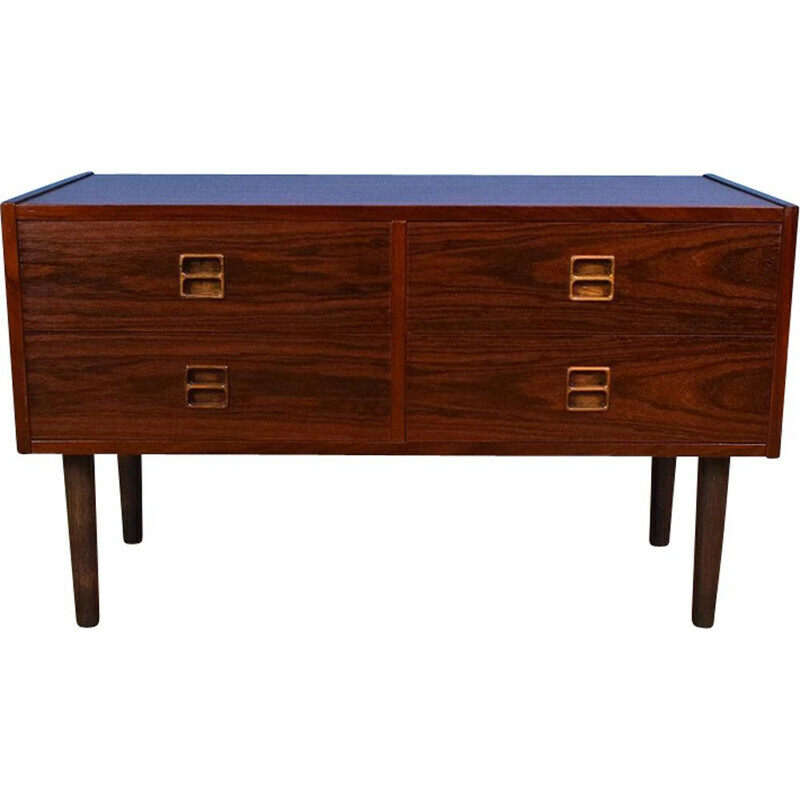 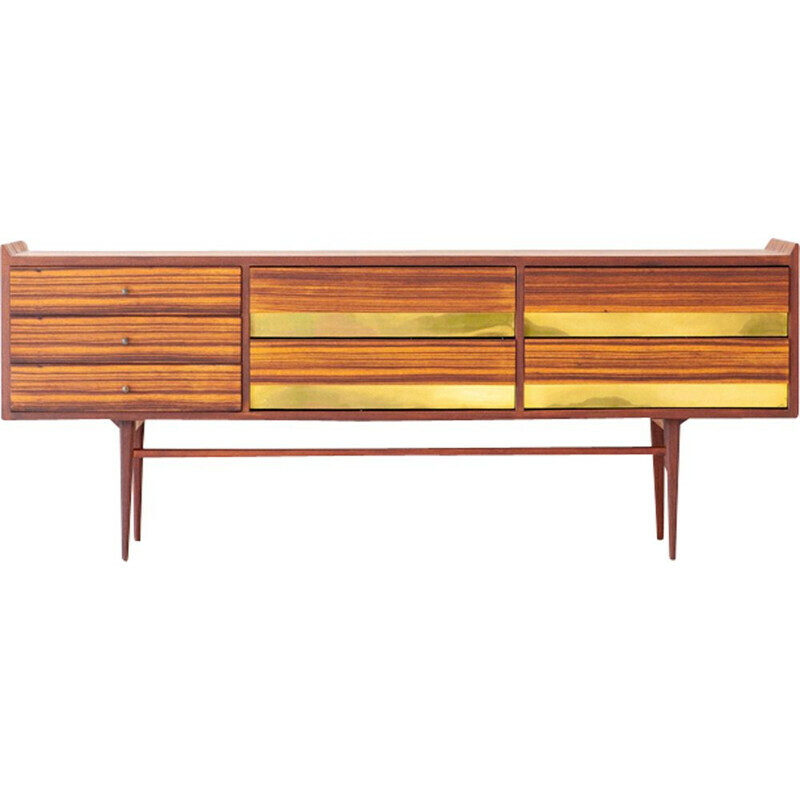 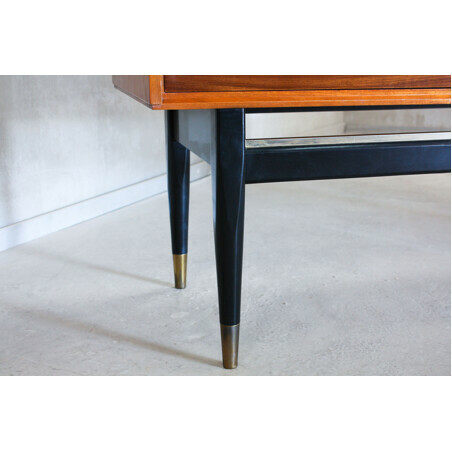 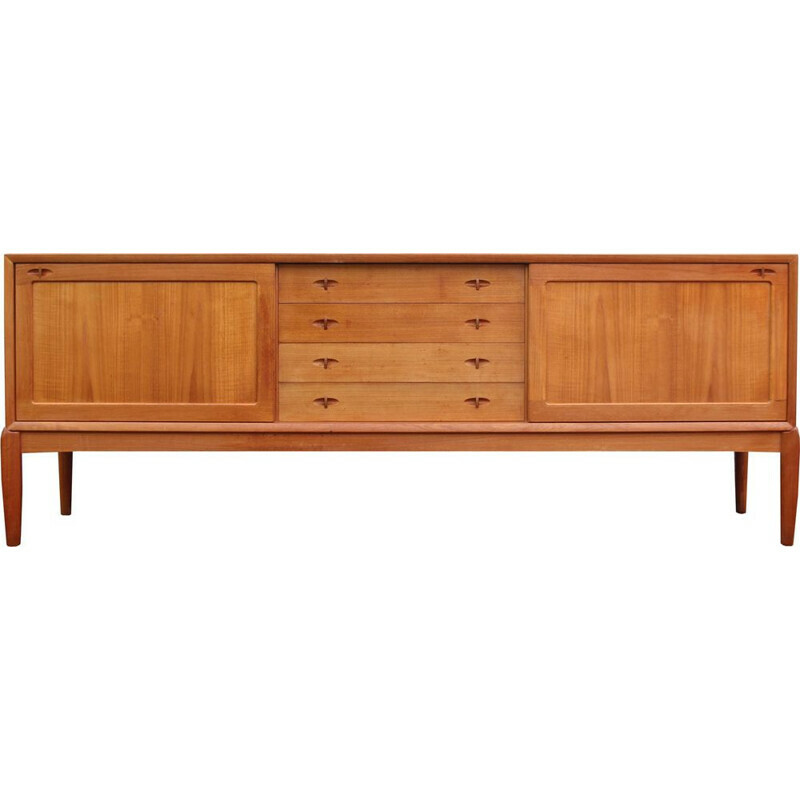 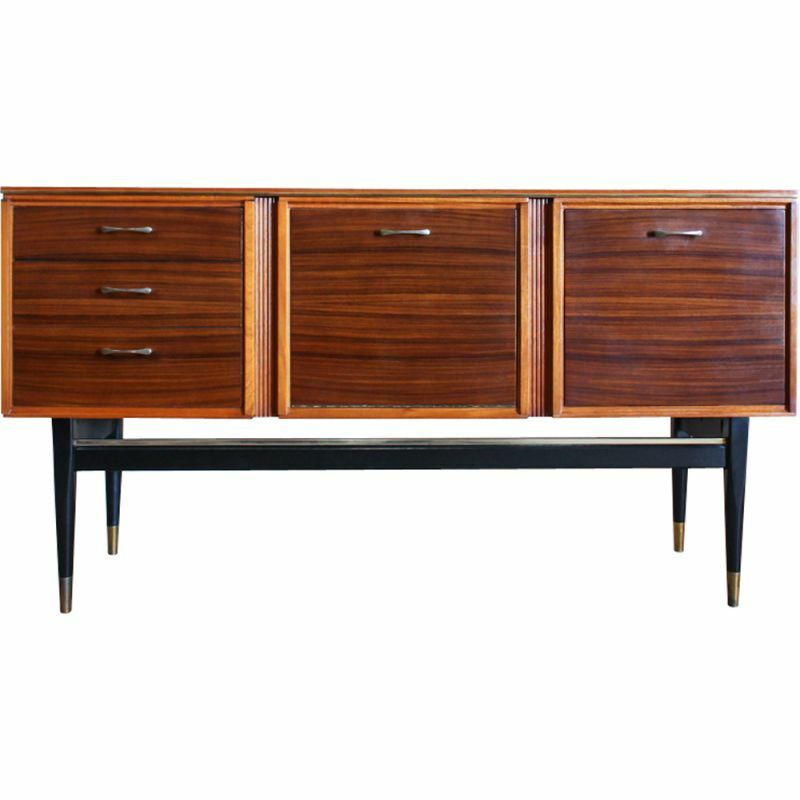 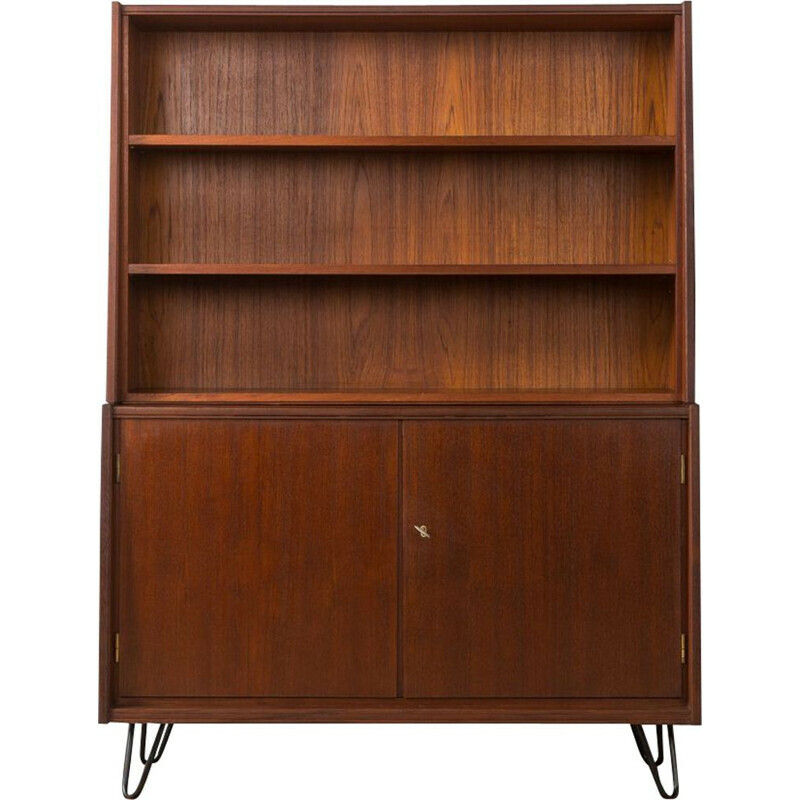 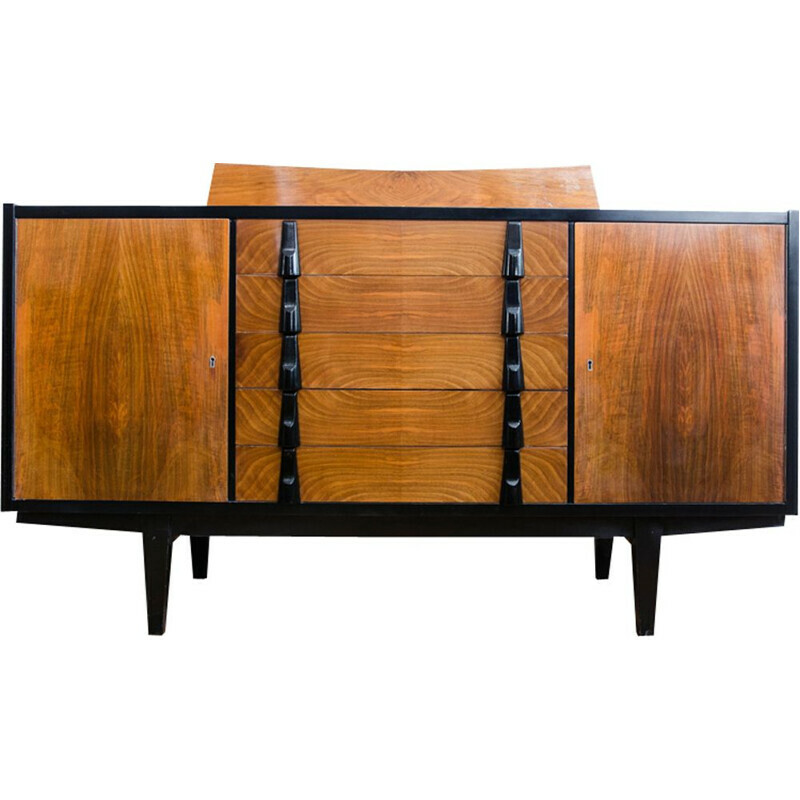 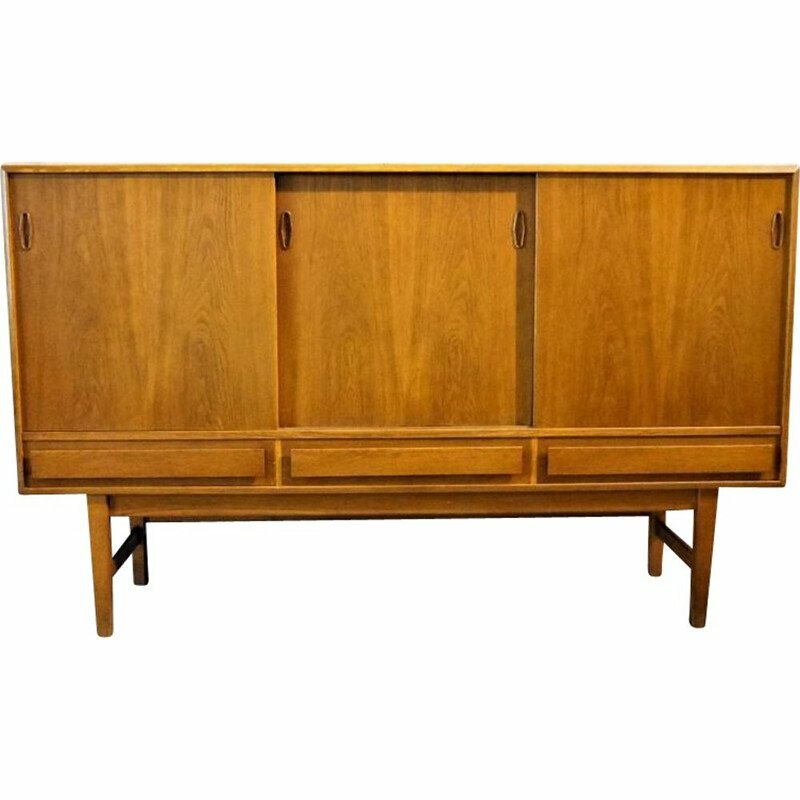 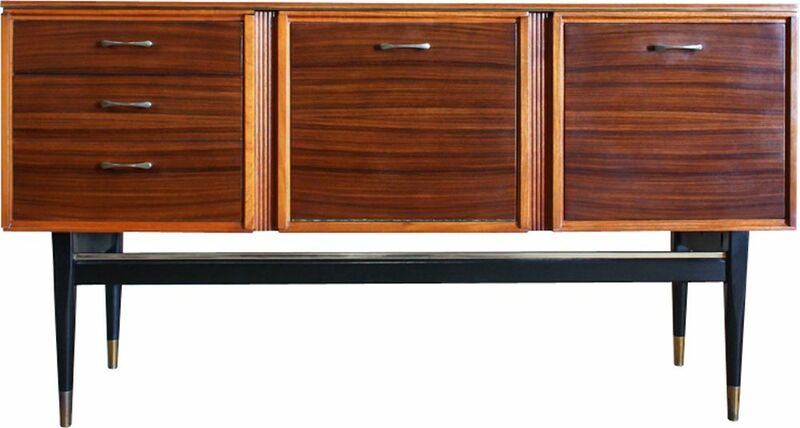 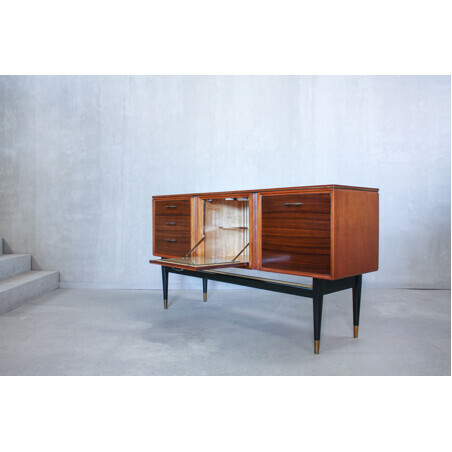 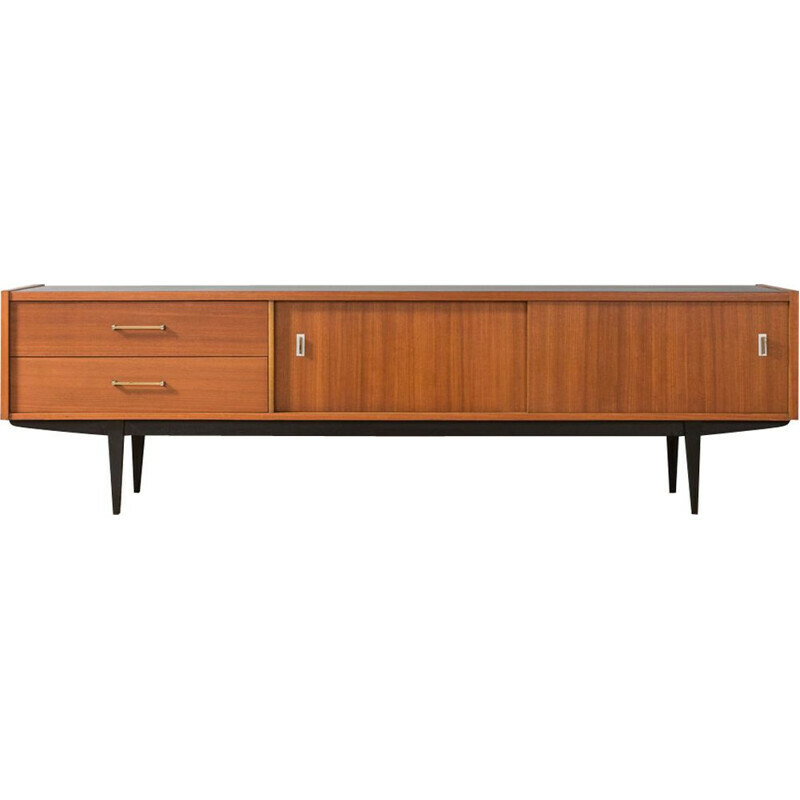 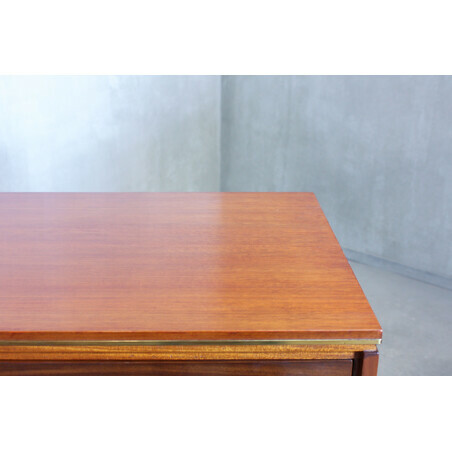 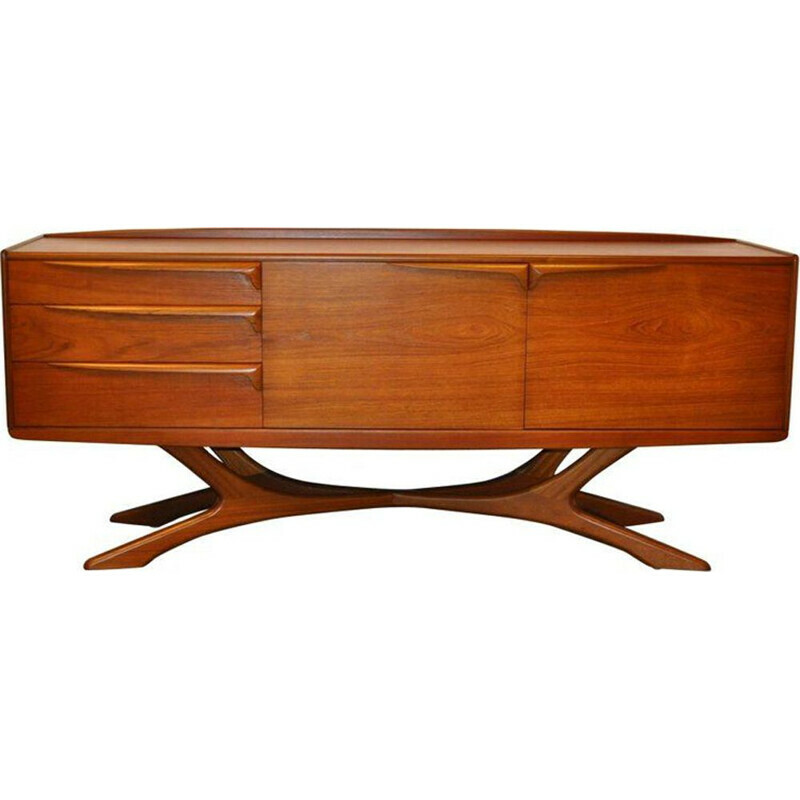 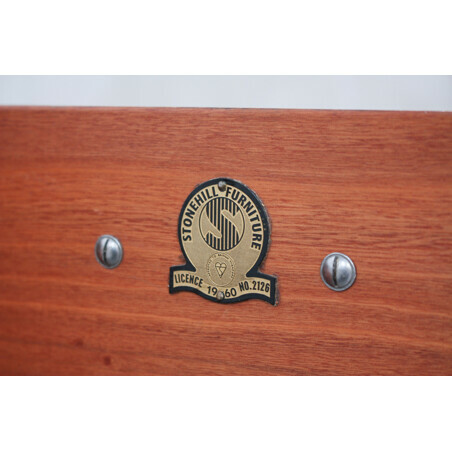 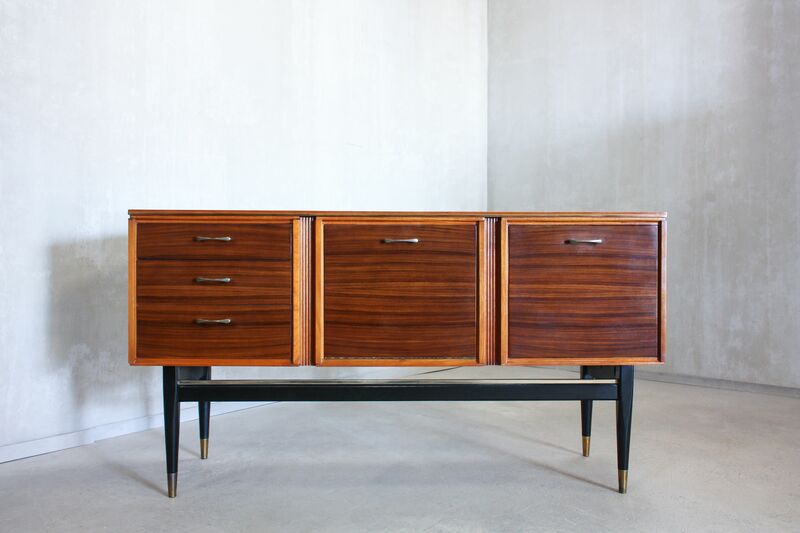 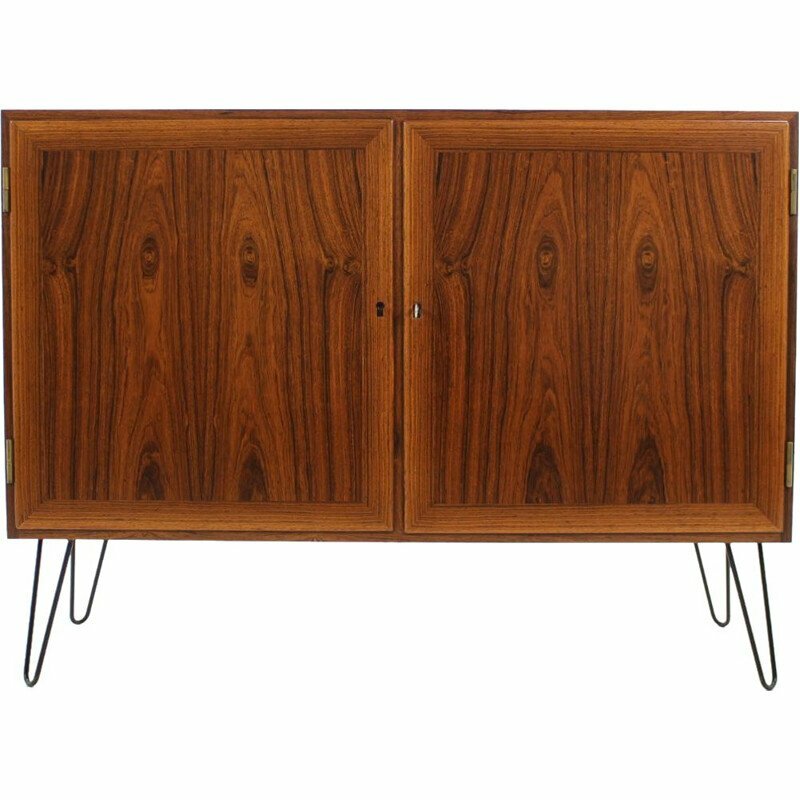 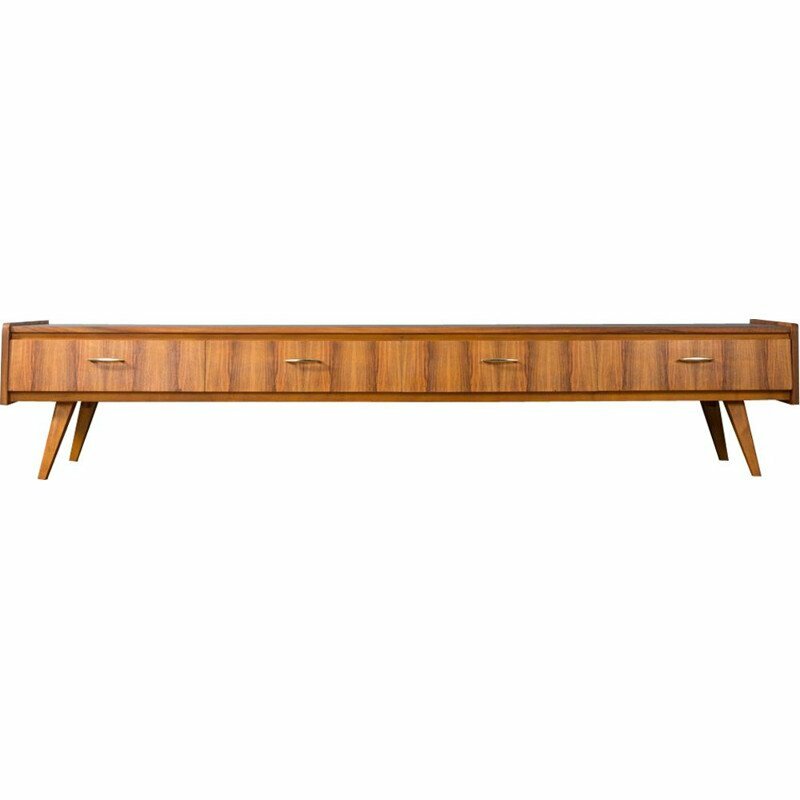 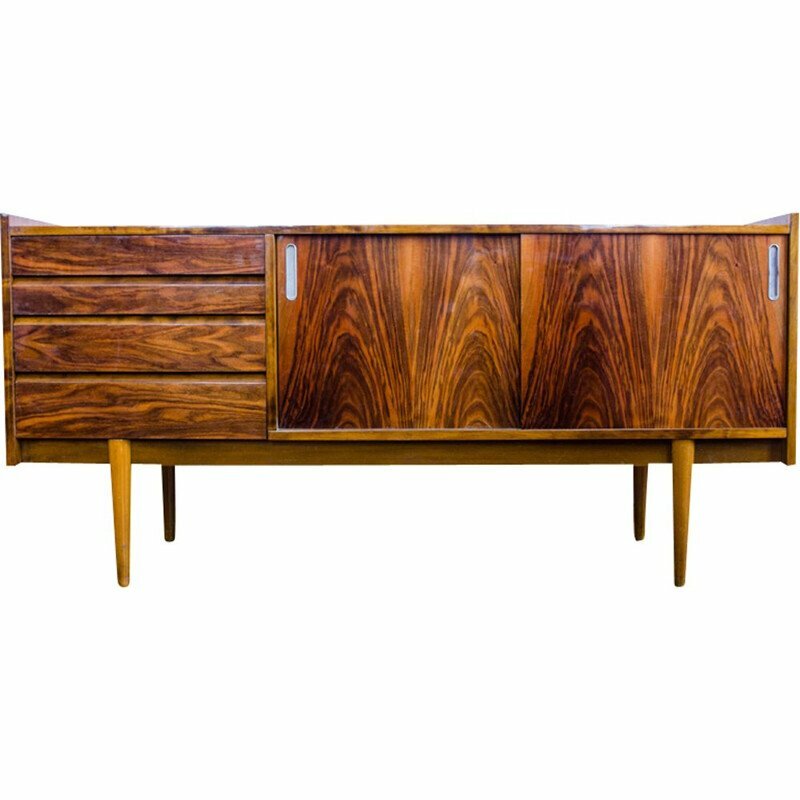 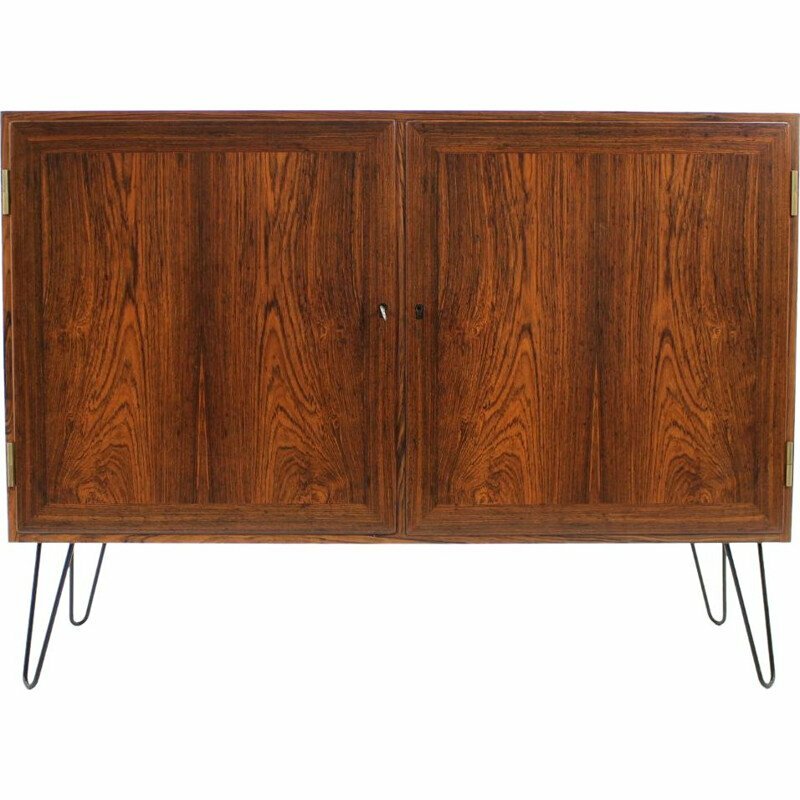 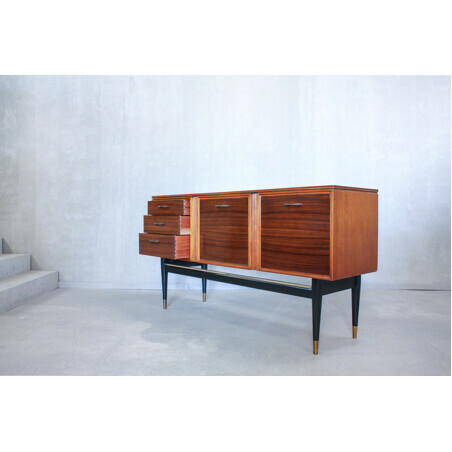 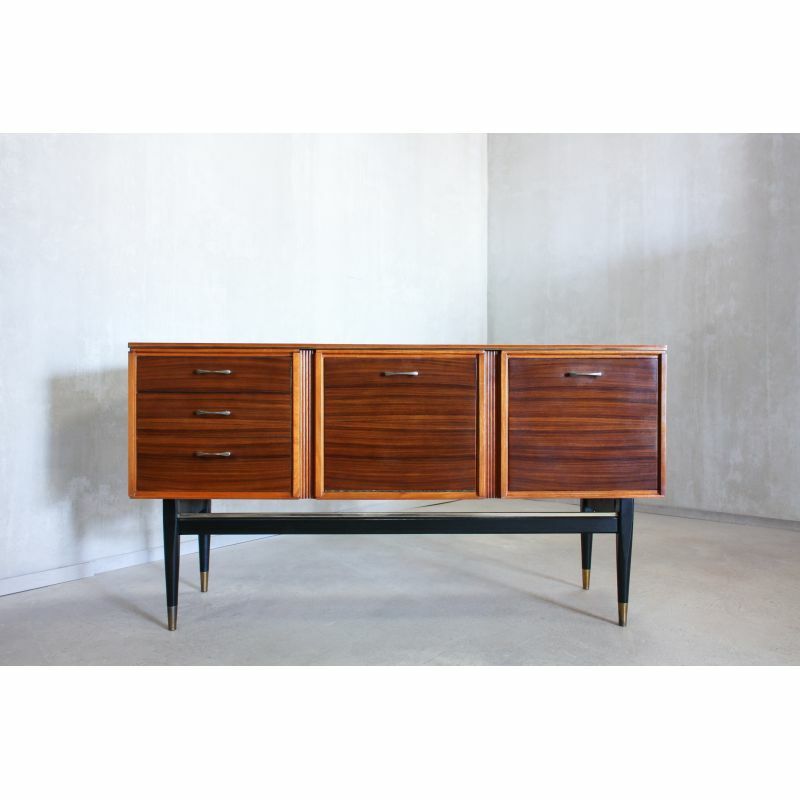 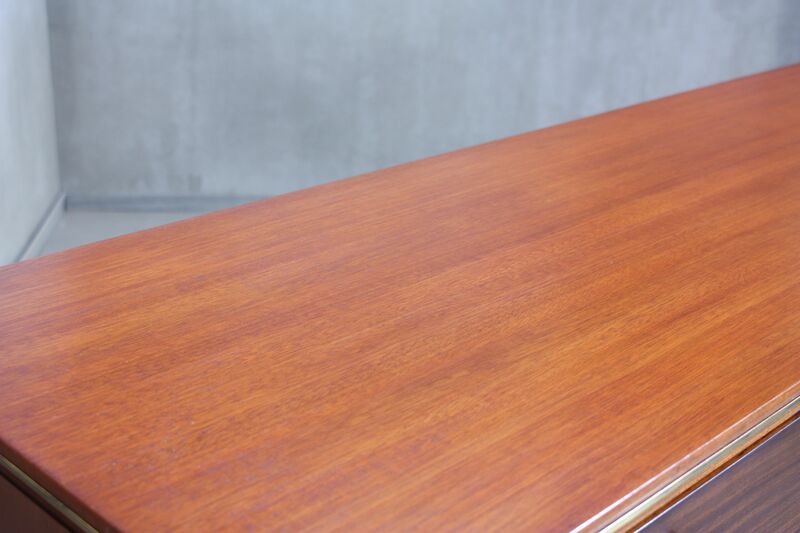 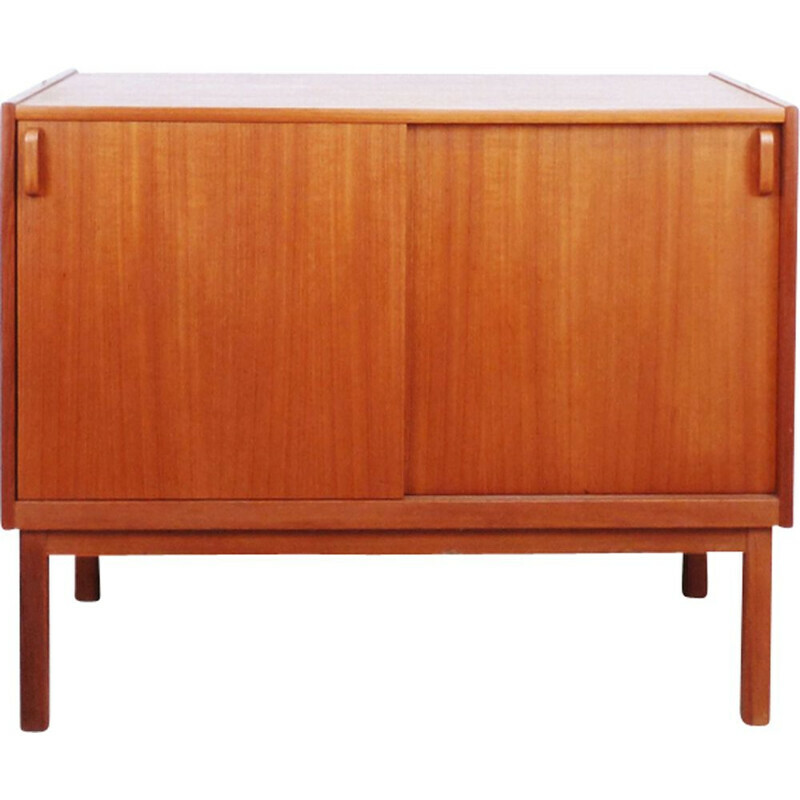 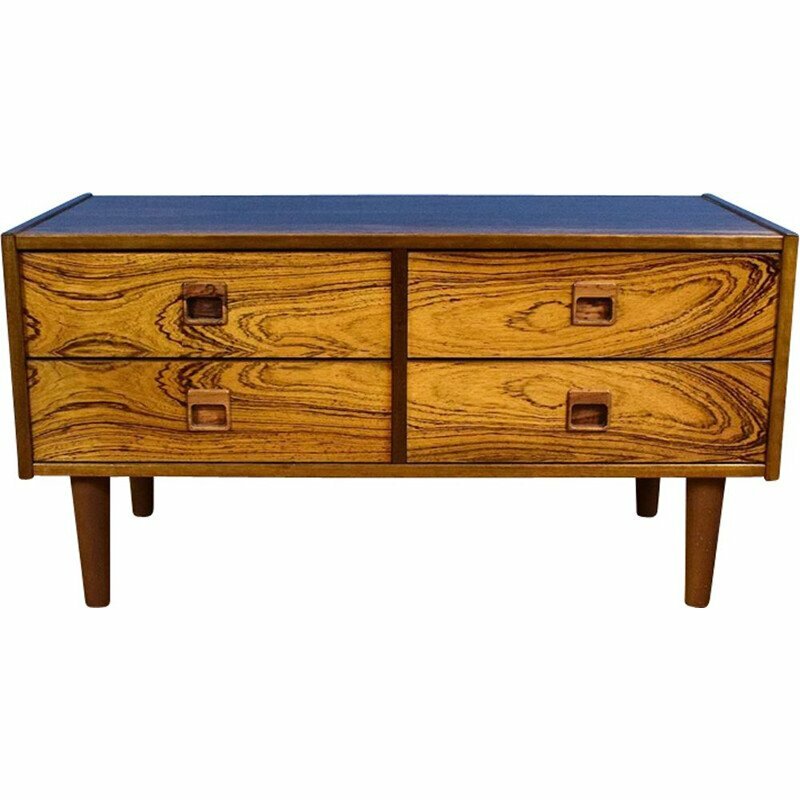 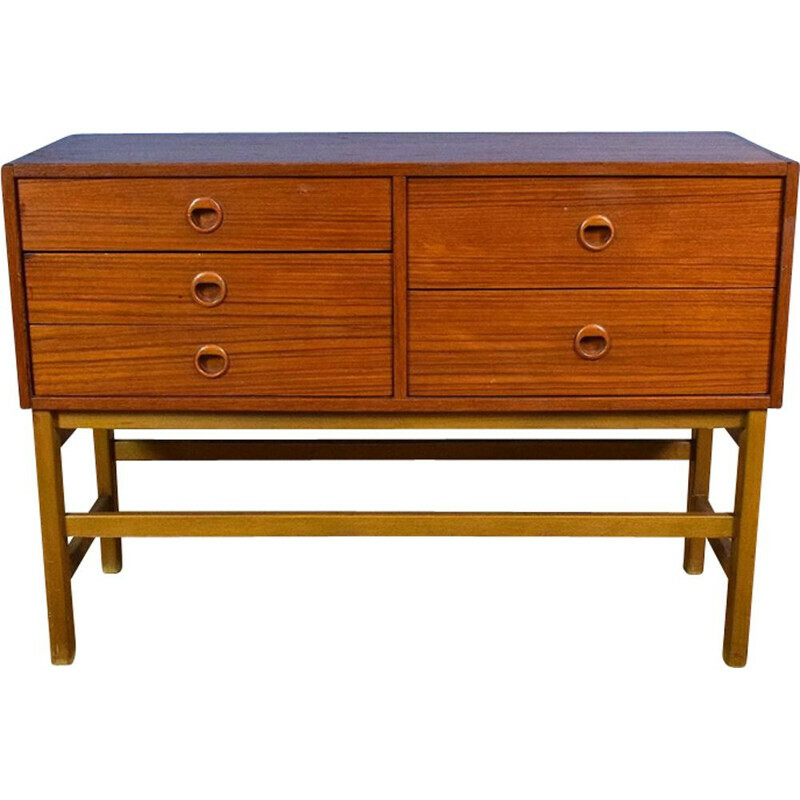 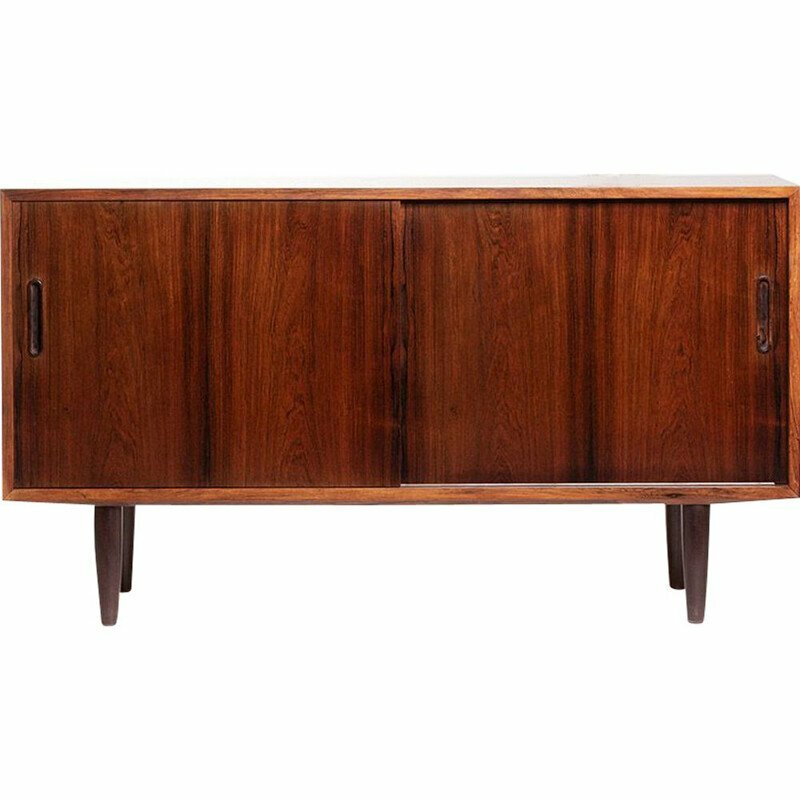 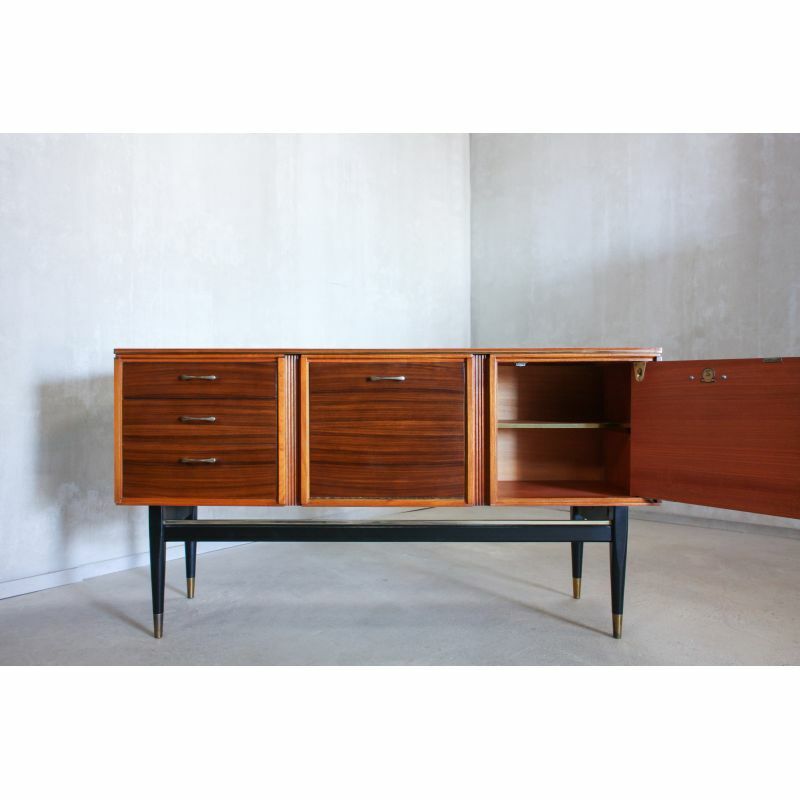 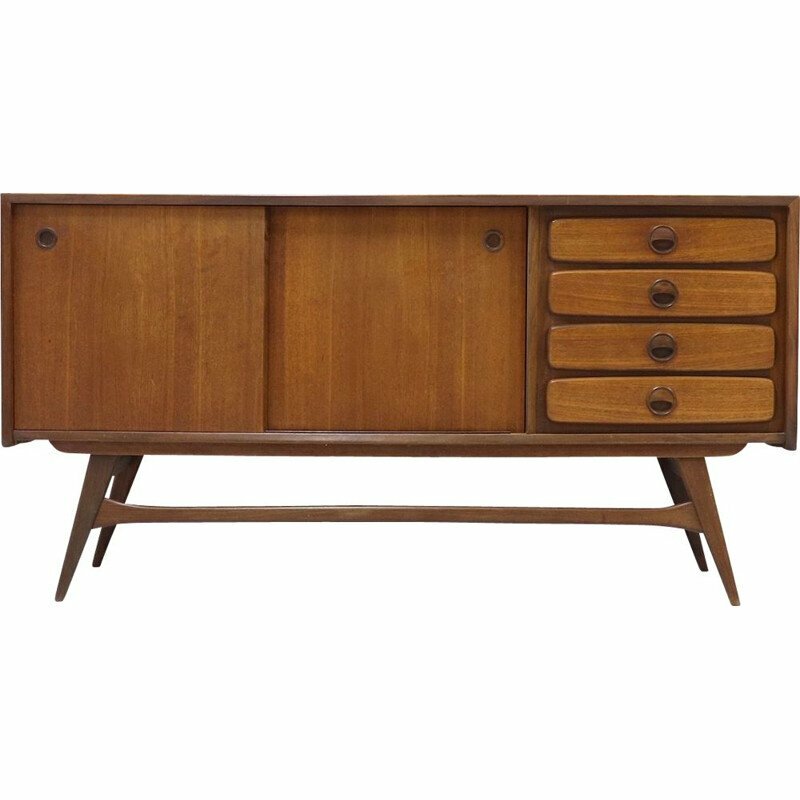 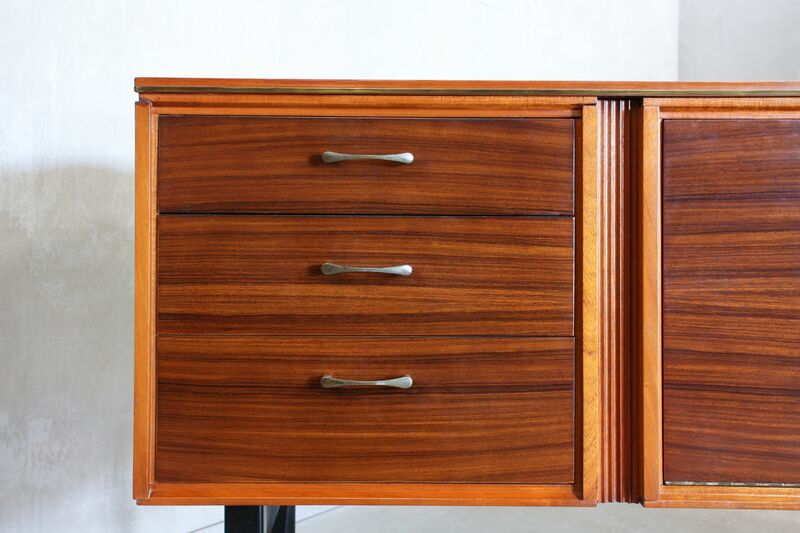 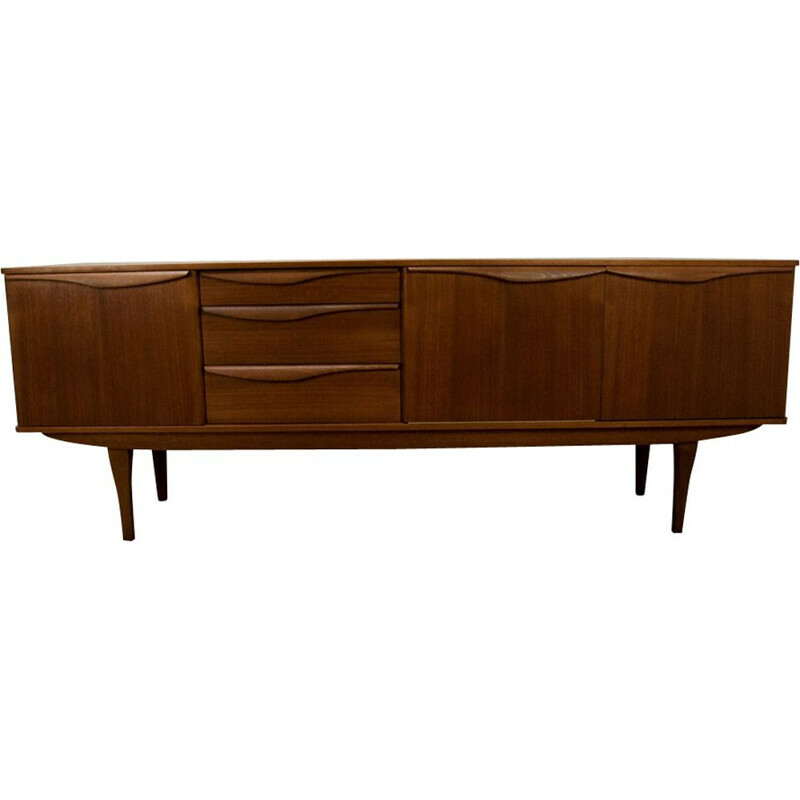 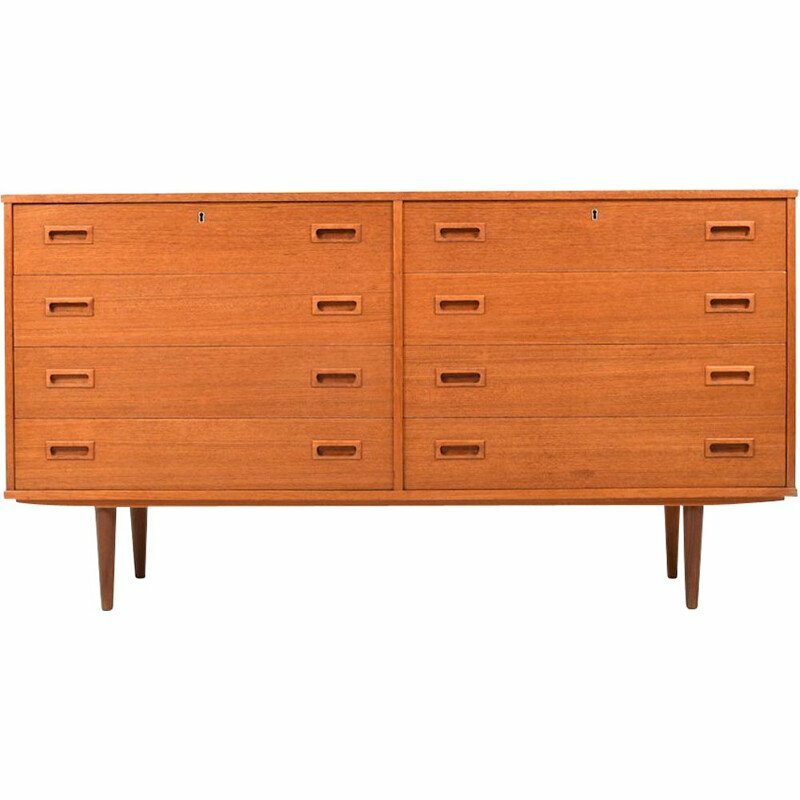 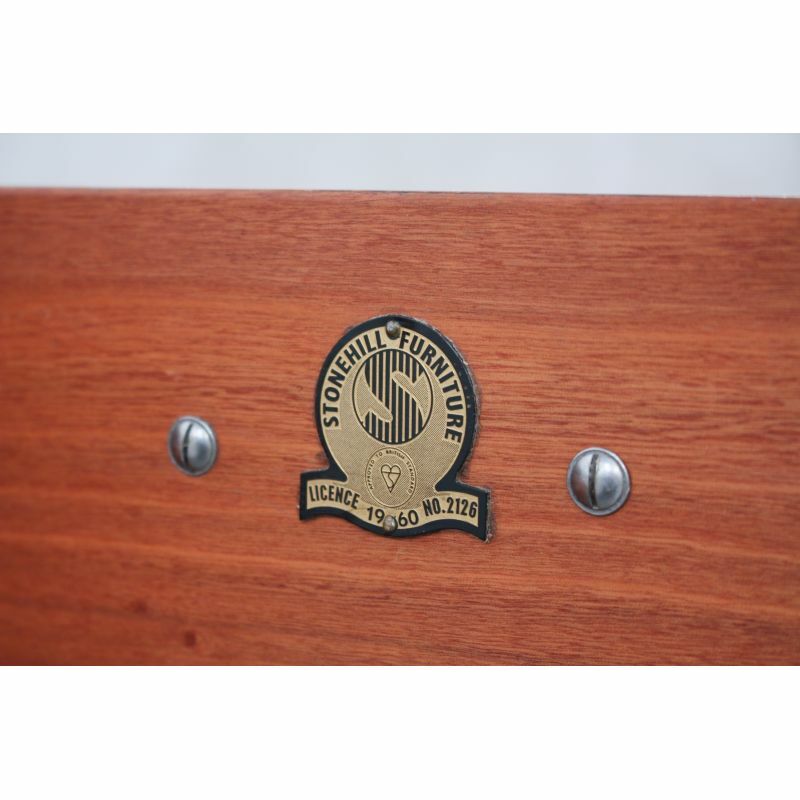 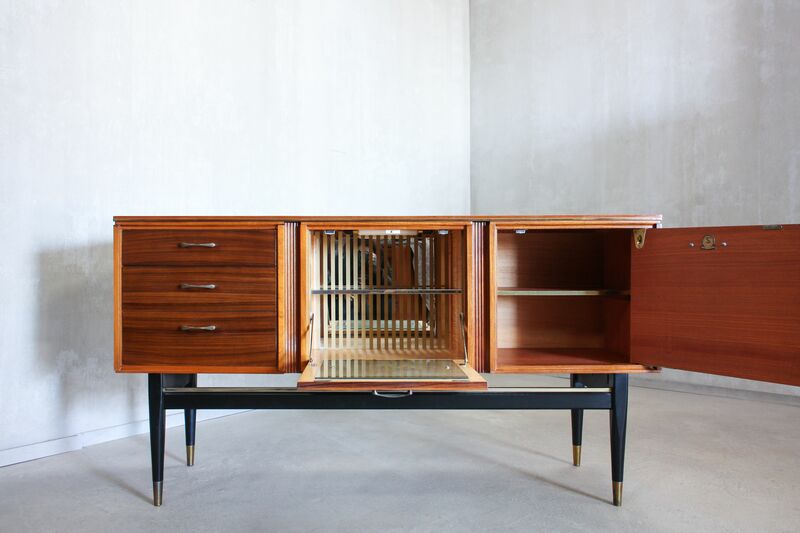 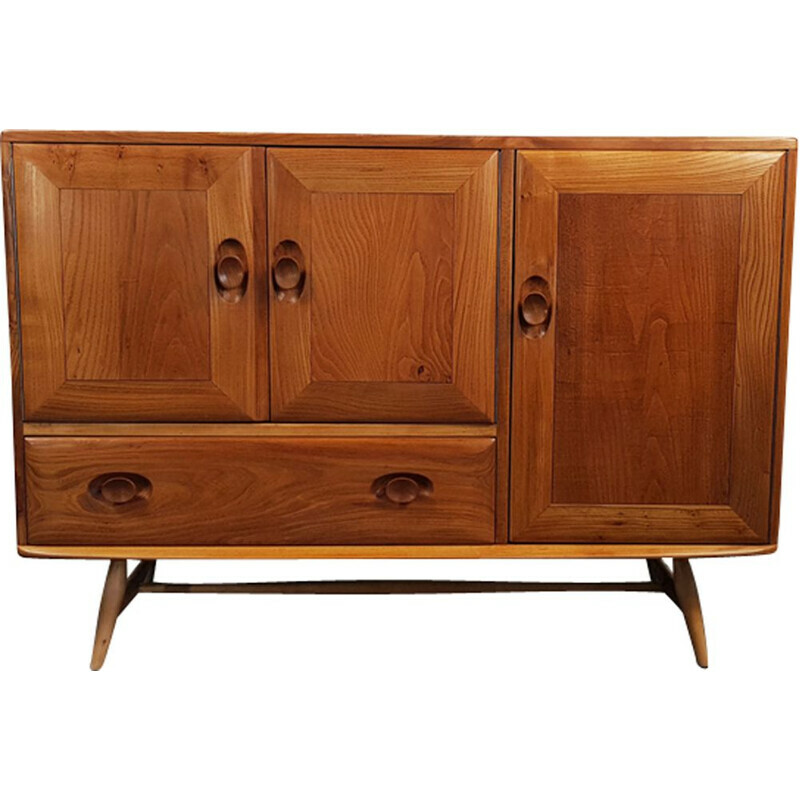 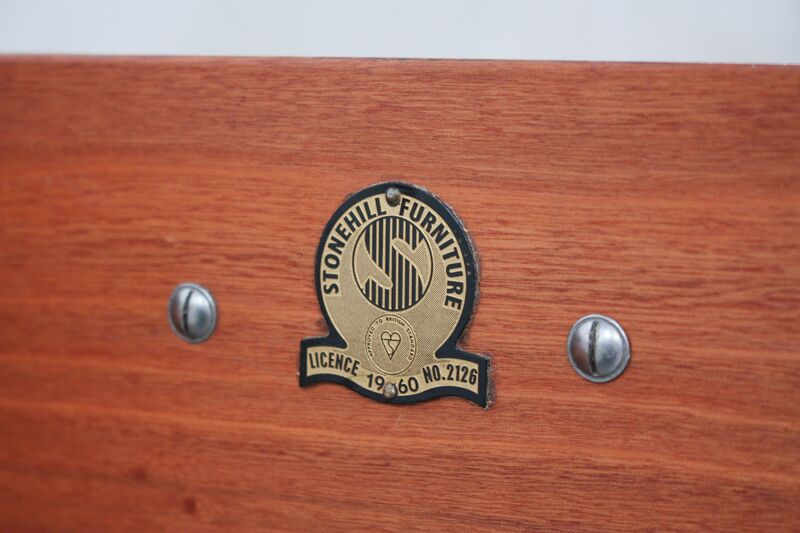 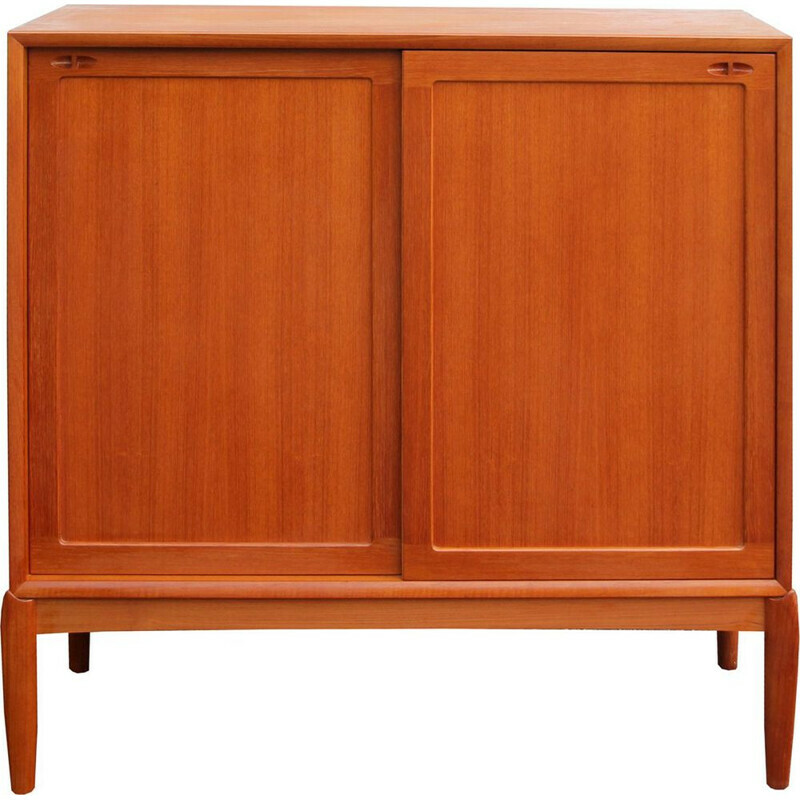 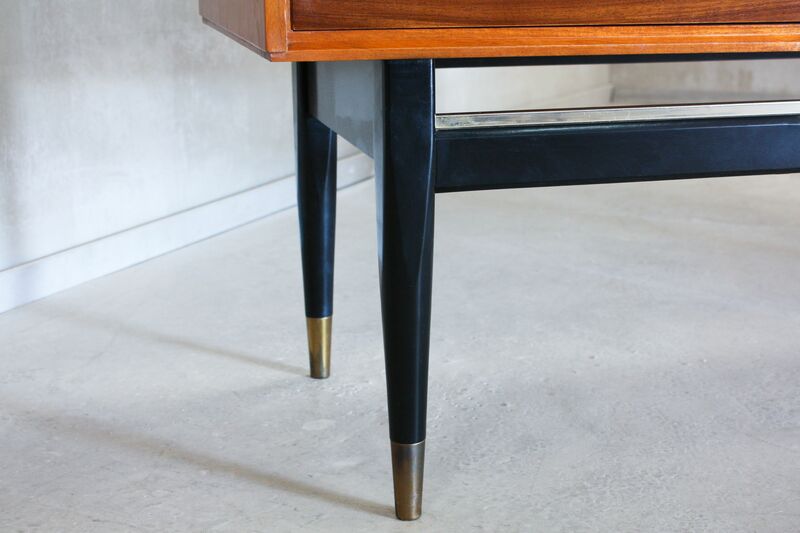 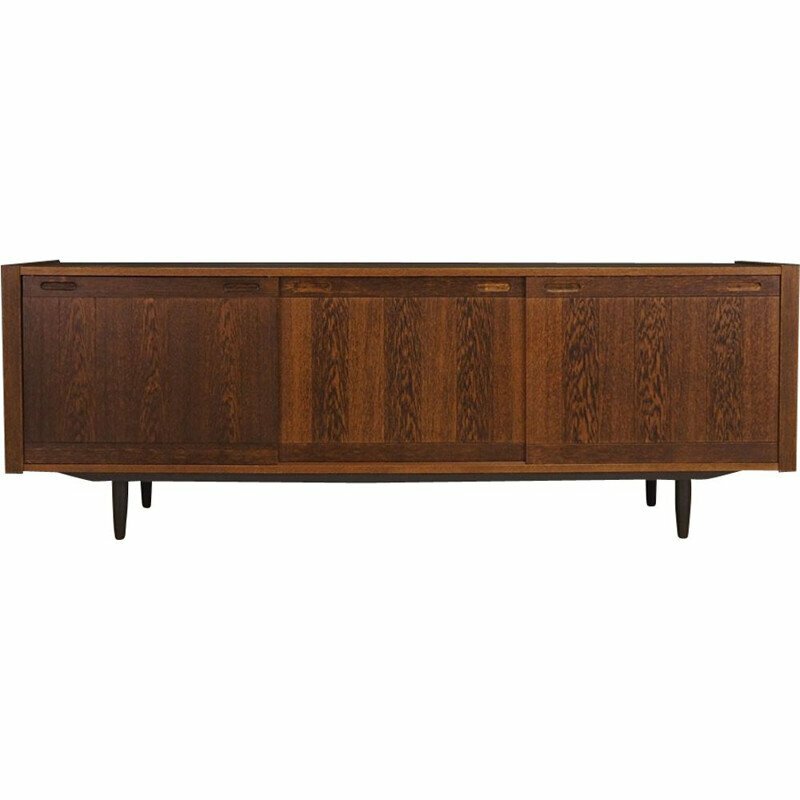 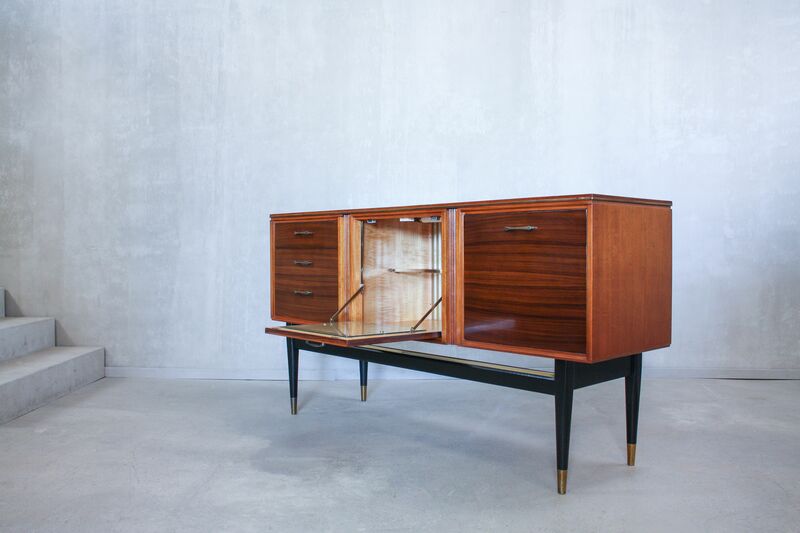 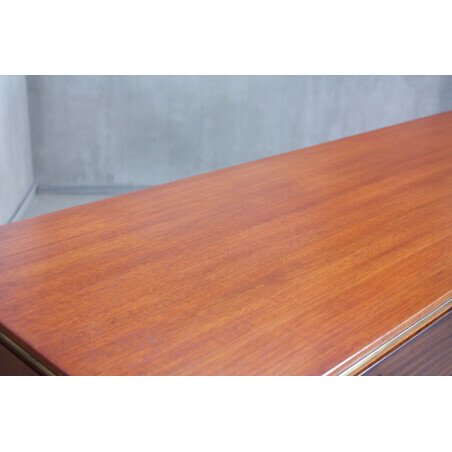 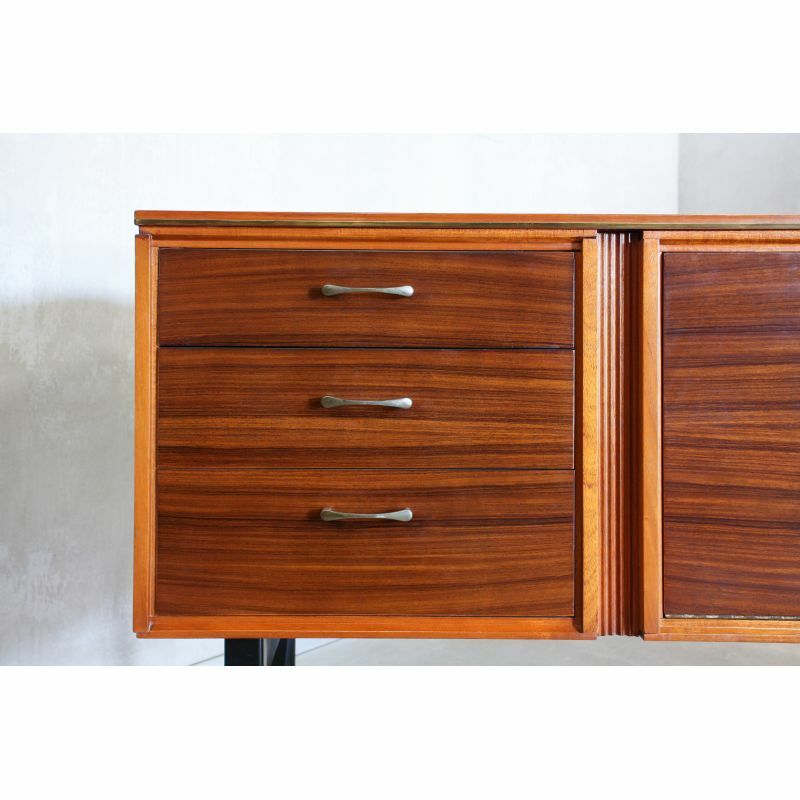 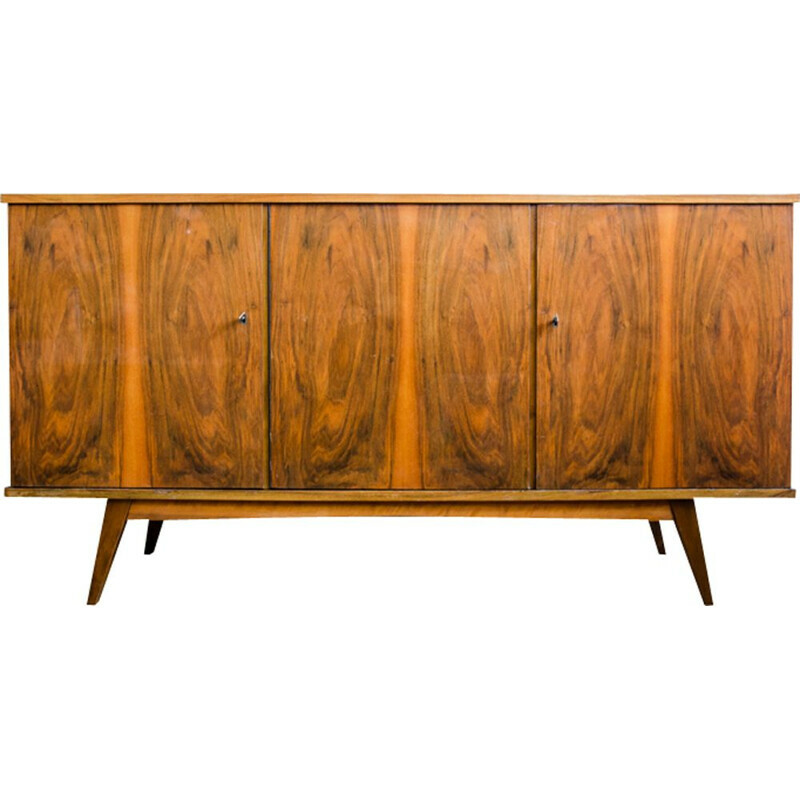 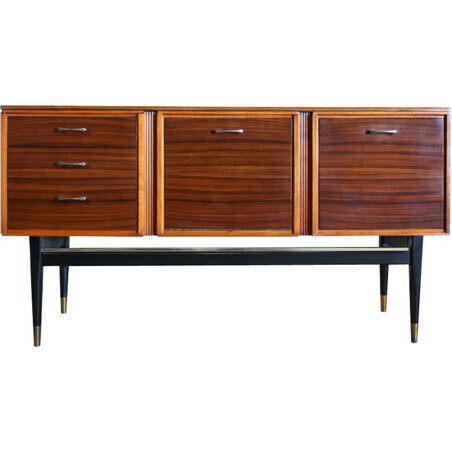 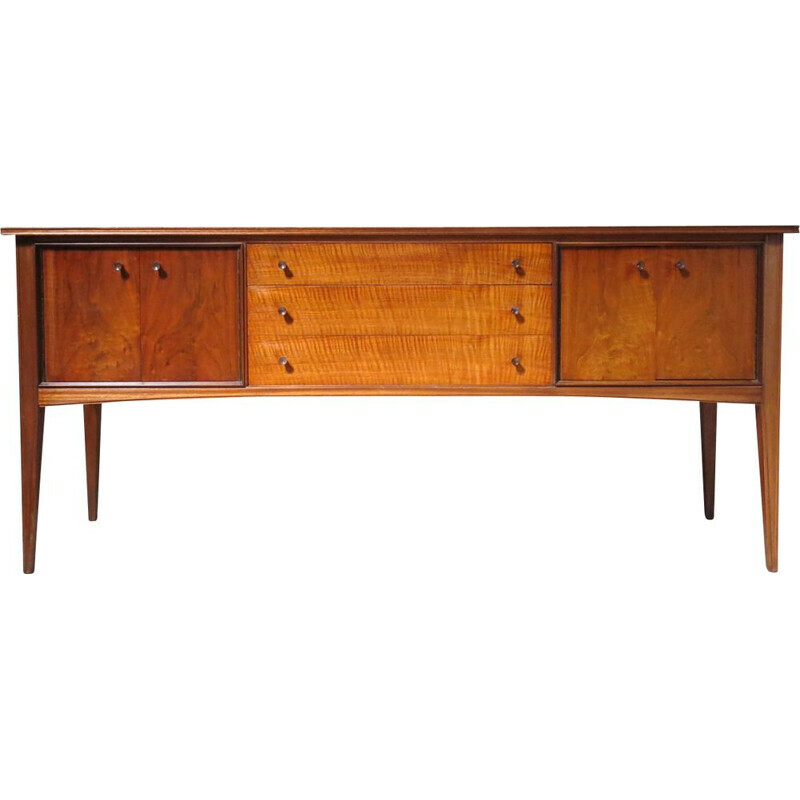 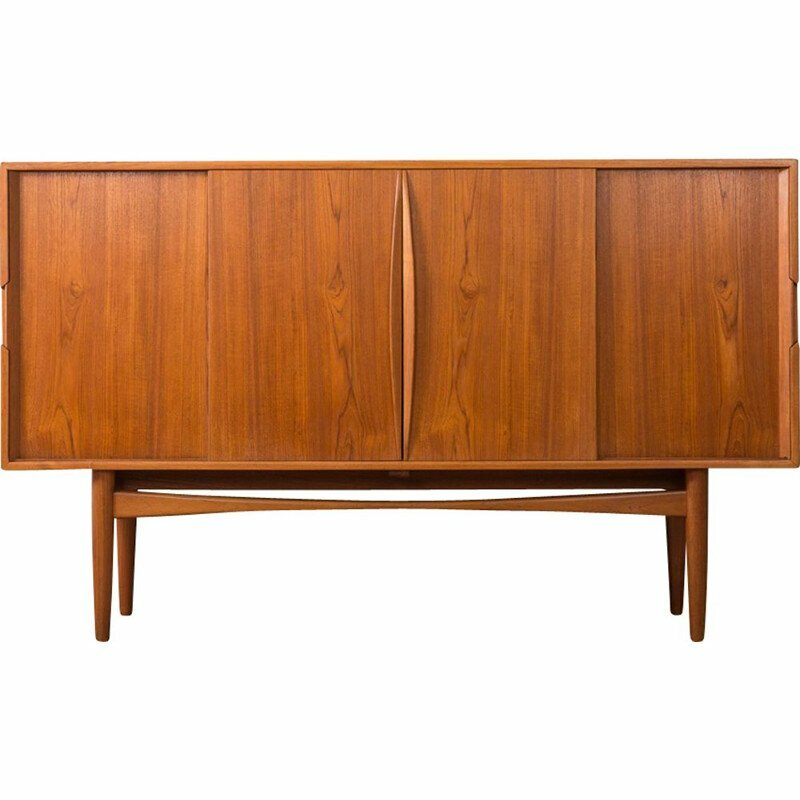 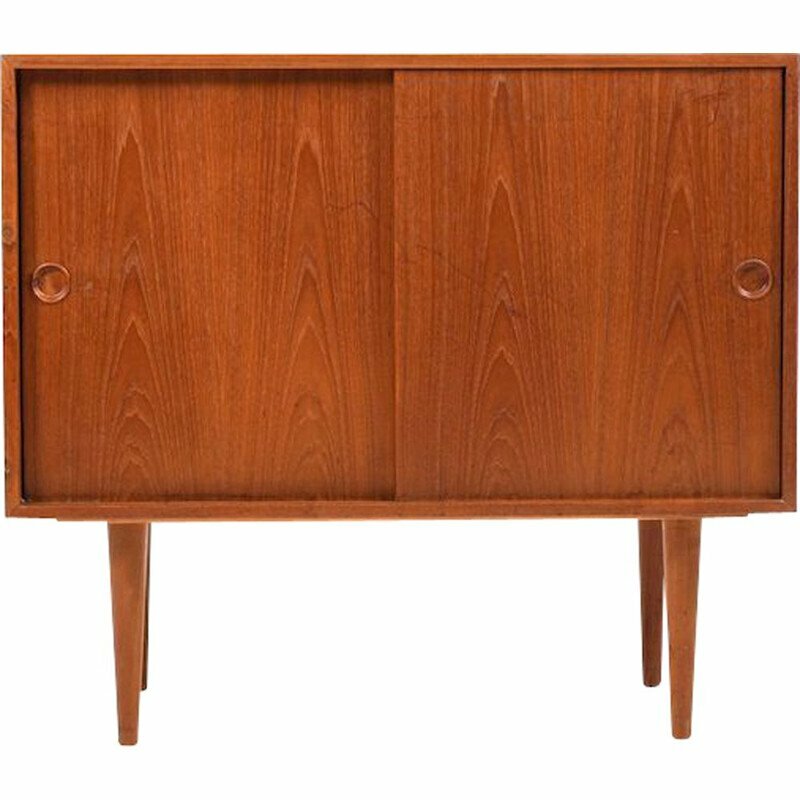 This sideboard was manufactured in the United Kingdom by Stonehill in the 1950s. 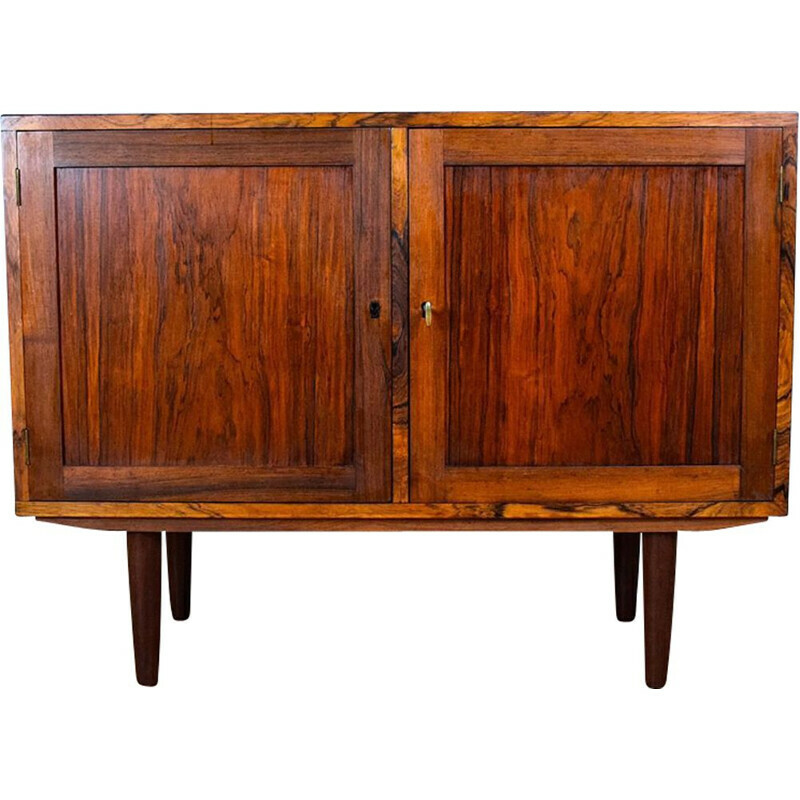 It is made from rosewood and indian laurel. 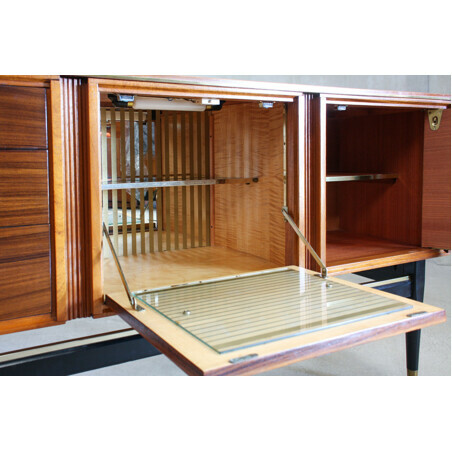 It features three drawers and two doors, one of which is a drop-leaf door revealing a bar, with a mirror and glass details. 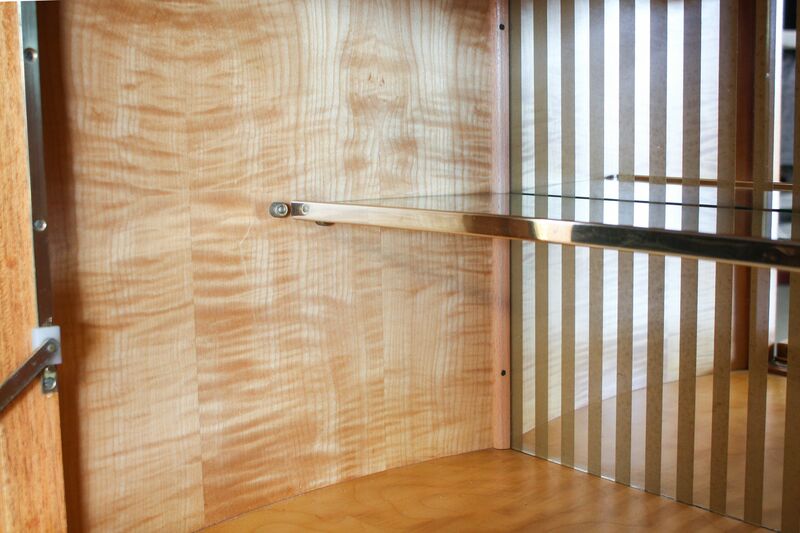 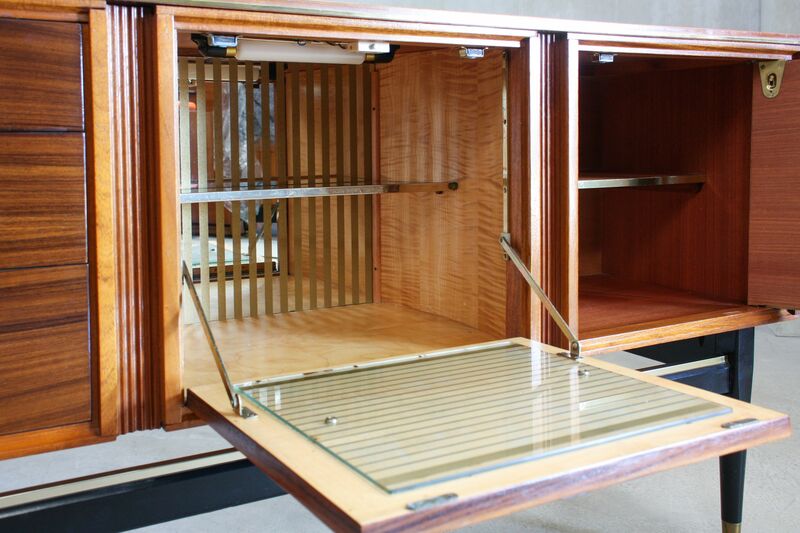 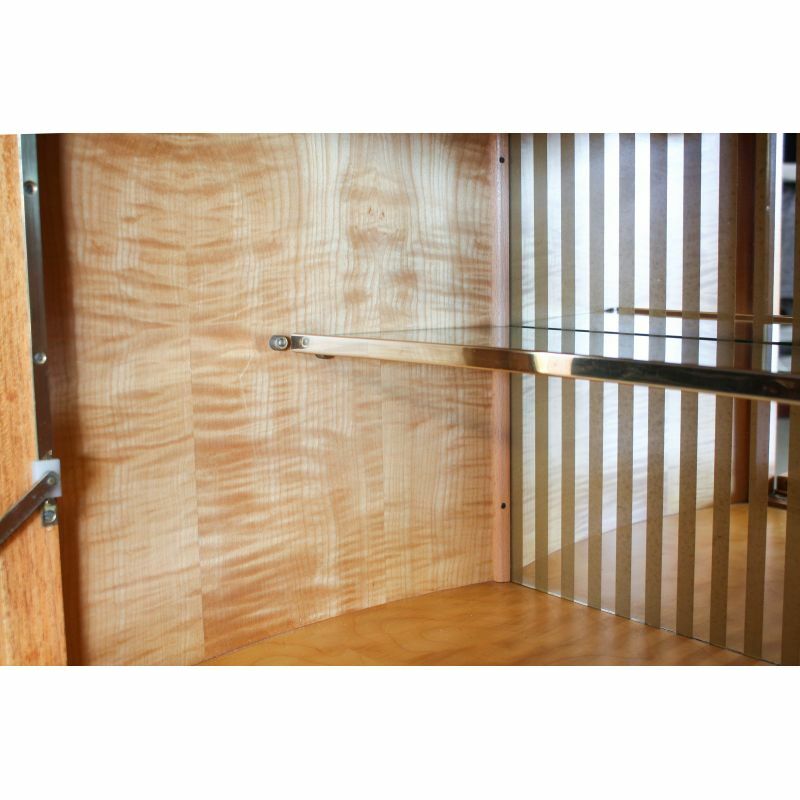 The interior is in a beech verneer and the handles are in brass. 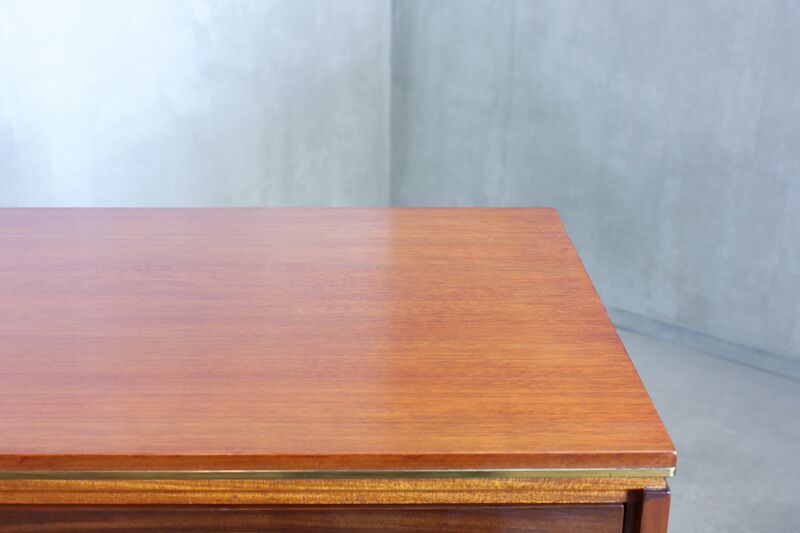 It is in original and good condition.